A small but interesting group of main characters fight alongside the player as he is clandestinely brought into an elite unit called the Ghosts as they take on the monolithic Federation that has brought hell to America. One feature of note is that while we get a good look into the main antagonist, we never see the real face behind the Federation, only one of its main foot soldiers. Unlike Modern Warfare, the story climaxes with a clear setup for a sequel to the narrative as opposed to a questionably defined end to the story. 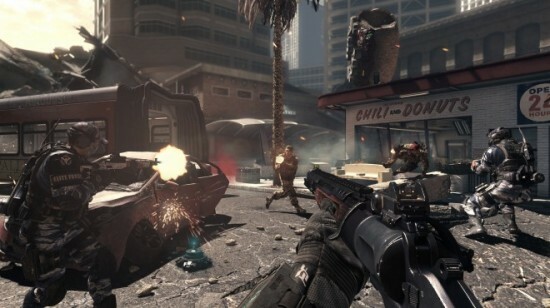 Also unlike Modern Warfare, the effects of the war have already ravaged major cities like San Diego and Las Vegas and players are part of an uprising resistance rather than being on the front line of the initial battle. These recognizable locales are gorgeous looking replicas of real life locations and shine with one of the prettiest games of the generation. As much as people made fun of it at E3, the lighting really is amazing. It shines even further in the jungle and underwater locations. By the way, it isn’t a good idea to shoot at the sharks when you are underwater in case you are wondering. There are also two fantastic space combat missions that change up the gameplay well. Speaking of sharks, animals do play a pretty strong role in the game but it isn’t overkill. At one point you find out sharks aren’t the only wildlife gunning for you. But as shown, the dog is the highlight. One thing that stood out to me for the first time really in Call of Duty: Ghosts that never really felt so substantial in past games are the guns and how each gun had a distinctly different feel and dare I say weight to it. While obviously it couldn’t actually feel the guns, how they behaved, the impact they had and the way my character reacted to them stood out more so than ever before. Though I am not a hugely competitive player online, this change is probably sure to be even more noticeable to those online who are competing at a higher level. 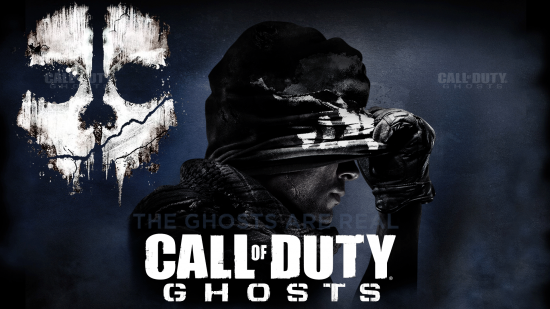 For the most part, Call of Duty: Ghost’s multiplayer is pretty standard fare. While there are added customization options, there is still a pretty deep list of multiplayer gametypes for players to explore. Outside of the traditional multiplayer mode, they’ve added what is known as Extinction mode. Extinction is similar to that of a Zombie mode where players must gain money by killing enemies, in this case it is grotesque looking alien, bug type mutant things. What is different though is rather than just have a horde players must cut through in rounds, they instead need to defend various objectives like a drill or helicopter that is aiding in their goal of eliminating the enemy species. The mix of the horde and defense modes play well together and give something different enough for what players are used to so it is worth playing, but not so far removed that it is a totally different style of game to become familiar with. I wouldn’t make any grand statements about Call of Duty: Ghosts that I couldn’t back up. It isn’t the game of the generation or even game of the year. It is though a fantastic evolution in the Call of Duty franchise. Looking back at the launch of the XBox 360 and Call of Duty 2, it is amazing to see the progress of the franchise both in terms of its place in the industry and the change in gameplay and graphics it has inspired. 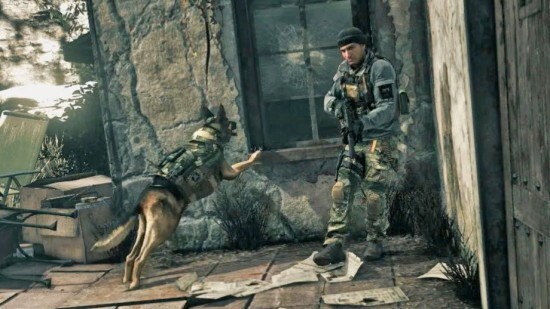 For those waiting until the next gen releases, while I can’t speak on the visuals since I haven’t gotten the chance to play through in person yet, the gameplay is worth it and hopefully enough people hop on to build a strong launch multiplayer community for it as well since that is what keeps Call of Duty at the top of the XBox Live charts year round after all. Hi there, just turned into aware of your weblog through Google, and found that it’s really informative. I am going to watch out for brussels. I will appreciate in case you continue this in future. Many folks might be benefited from your writing. Cheers!